I have been following the postings on Jos Mayer and would like to find out more about his life. Can you obligue? Mayer’s benevolence and commitment to public enlightenment ensure his position as an important civic figure of the nineteenth century. Joseph Mayer, (1803–1886) was collector of antiquities and works of art, and was born on 23 February 1803 at Thistlebury House, Newcastle under Lyme, Staffordshire, fourth son and the sixth of eleven children of Samuel Mayer (1767–1838), tanner, currier, and mayor of Newcastle under Lyme, and his wife, Margaret (1773–1859), daughter of John Pepper, architect. Having attended Newcastle under Lyme grammar school, he moved to Liverpool in October 1821 at the age of eighteen. He began an informal apprenticeship as a silversmith under his brother-in-law, James Wordley (fl. 1817–1861), entering into partnership with him in 1834, and setting up on his own as a jeweller and goldsmith in 1844. He demonstrated a remarkable flair for business and the financial success he achieved enabled him to indulge a passion for archaeology and collecting which he had had since childhood. This had first manifested itself when he was eight when he acquired a small hoard of Roman coins and pottery sherds whose unearthing he had witnessed—a minuscule foreshadowing of the scale and comprehensiveness of the collections he later amassed, displayed to the public, and finally bestowed on the city of Liverpool. Born into a radical and nonconformist family, Mayer was a natural patriot, and realized the value of cultivating learning and the arts among all classes in Britain. From his twenty-fifth year he contributed readily to loan exhibitions and made gifts to mechanics’ institutes. He was an exhibitor at the Great Exhibition of 1851 and at the 1857 Manchester Art Treasures Exhibition. He was sustained in his endeavours by the support of a wide circle of friends, distinguished by their contributions to archaeology, to historical studies, and as influential moulders of opinion in the decorative arts. The development of his collection was greatly furthered by a close collaboration, in particular, with Charles Roach Smith and Augustus Wollaton Franks. Mayer’s acquisition, in 1854, of the collection of Kentish antiquities excavated by the Revd Bryan Fausset was an outstanding event in the history of British archaeology, and his purchase in 1855 of the Byzantine and medieval ivories of Baron Gábor Fejérváry was an equally invaluable contribution to art collecting in Britain. Mayer regarded his collections as a public resource which he willingly made available to those able to employ them to positive ends, and also funded several scholarly publications and sponsored archaeological excavations. 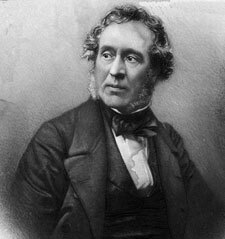 His own contributions to literature were more modest, constituting a series of articles in the Transactions of the Historic Society of Lancashire and Cheshire, of which he was one of the three founding members, on 20 March 1848. 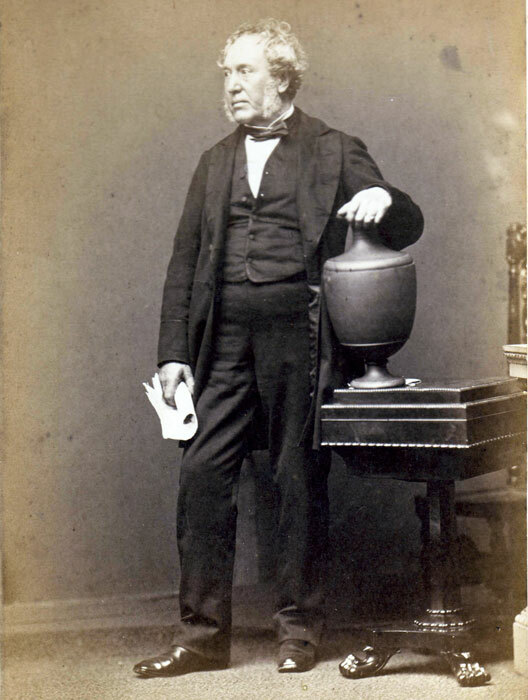 In 1855 he contributed a paper, ‘History of the art of pottery in Liverpool’ (revised edn, 1873), which remains fundamental to the study of the subject. Mayer was one of the earliest systematic collectors of ceramics, with important holdings of Liverpool porcelain and pottery, and a notable collection of Wedgwood wares. His most striking achievement in this connection was his discovery and acquisition of the vast hoard of documents of Josiah Wedgwood, the foundation deposit of the Wedgwood archive collection now at the University of Keele. Mayer generously put these papers at the disposal of Eliza Meteyard and advised, and assisted financially, in the completion of her Life of Josiah Wedgwood (1865). Mayer’s collection was first made accessible to the general public in May 1852, when he opened an Egyptian Museum (later the Museum of National and Foreign Antiquities) in Colquitt Street, Liverpool. In 1867 he presented the collection, then valued at £75,000, to the Liverpool Free Library and Museum. In recognition of the munificence of his gift and other services to the town, the corporation of Liverpool commissioned the life-size statue of Mayer by Giovanni Fontana in St George’s Hall, Liverpool. As with other surviving portraits, it reveals him to have been throughout his life a person of distinguished appearance, with an authoritative but sympathetic bearing. The Mayer collection continues as a significant constituent of the collections of the National Museums and Galleries on Merseyside. The honour which Mayer most valued, however, was the fellowship of the Society of Antiquaries of London, awarded in 1850. In 1860 he was appointed captain of the Liverpool volunteer borough guard, and in 1864 captain of the 4th Bebington company of the 1st Cheshire rifle volunteers, a unit he had raised at his own expense. He had moved in 1860 to Pennant House, Bebington, Cheshire, where he continued his benefactions, endowing the borough with a well-stocked lending library, public gardens, and a lecture hall and picture gallery. Retiring from business in 1873, he applied himself, inconclusively, to writing a history of art in England, amassing more than 20,000 drawings, prints, and autograph letters, as well as continuing to collect works of art and antiquities. This collection, with an estimated value of £10,000, was dispersed by auction in Liverpool on 15–16 December 1887. He also collaborated with his nephew Frederick Boyle in the publication of two works which remain of permanent value in the study of the life and work of George Stubbs (1724–1806): Early Exhibitions of Art in Liverpool with some Notes for a Memoir of George Stubbs RA (1876), and Memoirs of Thomas Dodd, William Upcott, and George Stubbs RA (1879). In his retirement he pursued an interest in gardening, having in 1870 successfully cultivated in the open air the giant Victoria Regia water lily. He died unmarried at Pennant House on 19 January 1886, aged eighty-two, and was interred on 23 January 1886, at St Andrew’s Church, Bebington. I am inquiring about a sterling silver coffee pot or tea pot that my sister found after Hurricane Katrina struck our region. It was obviously of value to someone as it had been secured in a plastic bag. From what we can tell, it was a product of J. Mayer Silver, the maker was Robert Hennell III, it was made in 1855 and is in incredible condition. It has very elaborate raised carvings of farm animals. According to our research it is sterling silver, made in Liverpool. We cannot find another one like it online anywhere.